Mary Press, Trevor Neill and Lord Trevor. Brynkinalt, May 2000. The customary programme of organised outings during the summer months of each year has continued and has consisted of evening outings, day excursions and a number of longer trips further afield. 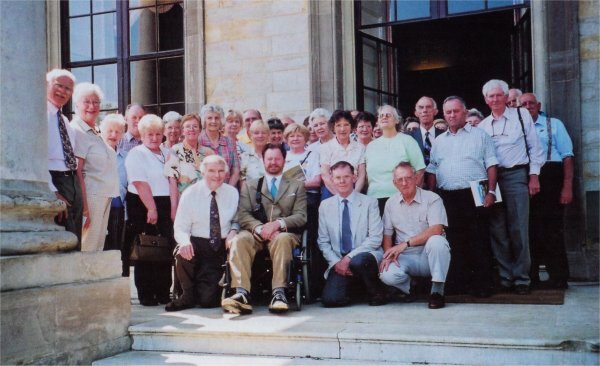 The most ambitious of these in 2000 was to Ragley Hall, Warwickshire, where we had a very warm welcome from the Marquis of Hertford, whose family has long associations with Lisburn. Based in the cathedral city of Worcester, we also visited Lord Trevor at his impressive home Brynkinalt which is situated on the Welsh borders. 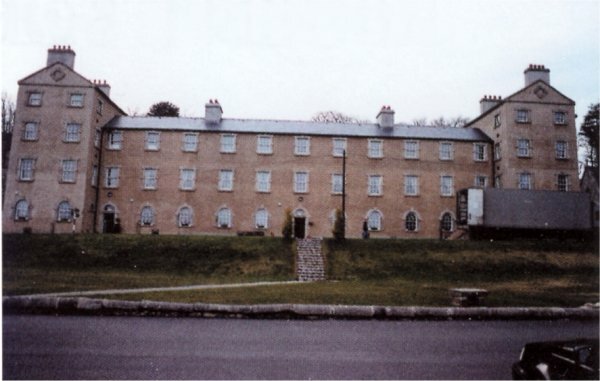 His family was closely connected with the Downshire family of Hillsborough and this can be recognised in the residence named Trevor House in Hillsborough village. The family also had Newry connections and there is a Trevor Hill in Newry. 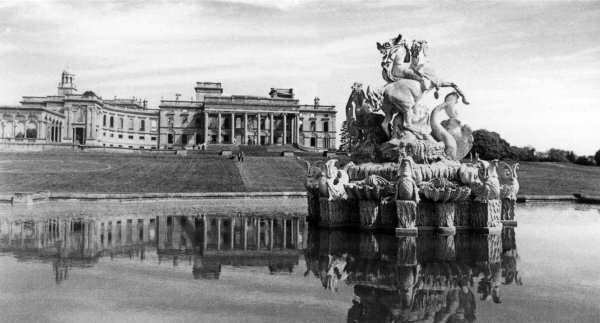 During the four day trip we also visited Witley Court, a ruined stately home only a short distance from Worcester and the nearby birthplace of Edward Elgar the composer, the 11th century Worcester Cathedral and the famous Royal Worcester porcelain factory. In 2002 London was the destination. The highlight was an inspiring afternoon viewing the Wallace Collection at Hertford House where we had the privilege of hearing a most interesting talk by Peter Hughes, formerly Head Curator. The Wallace Collection was assembled during the nineteenth century by the 4th Marquis of Hertford and his son, Sir Richard Wallace, both of whom were connoisseurs of art who lived mainly in Paris. Sir Richard's London home was Hertford House. On his death in 1890 he left the collection to his widow, who, in turn, bequeathed the collection and Hertford House to the nation in 1897. Our visit to Windsor Castle was cut short when the sounding of an alarm led to a complete evacuation - thankfully, a false alarm, hut one which recalled the extensive damage caused by the great fire at Windsor and the need for complete and quick responses in such circumstances. There were no such interruptions at Hampton Court where a pleasant afternoon was spent wandering about this important palace which is a former home of Henry VIII. A successful evening outing under the guidance of the knowledgeable and entertaining Dr Frank McCorry took place in June 2003. This comprised a walk around the Bluestone Road area of Lurgan which is rich with historical associations. In September 2003 an enjoyable day was spent visiting Benburb, Monaghan Cathedral, Bessmount House and the Palace Stables, Armagh. 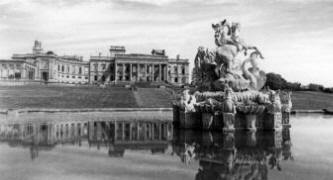 Witley Court, May 2000. 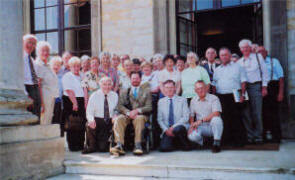 Members pictured with the Marquis of Hertford on the steps of Ragley Hall, May 2000. 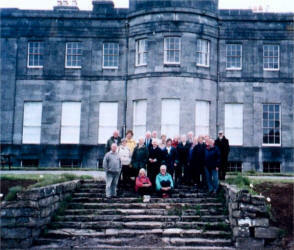 Members of the Society at Lissadell, May 2004. 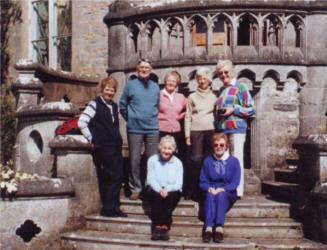 Pictured on the back terrace of Markree Castle: Hilary Moore, John Moore, Audrey Gamble, Heather Kenny, Margaret Campbell. Seated: Mary Twigg, Heather Gracey. 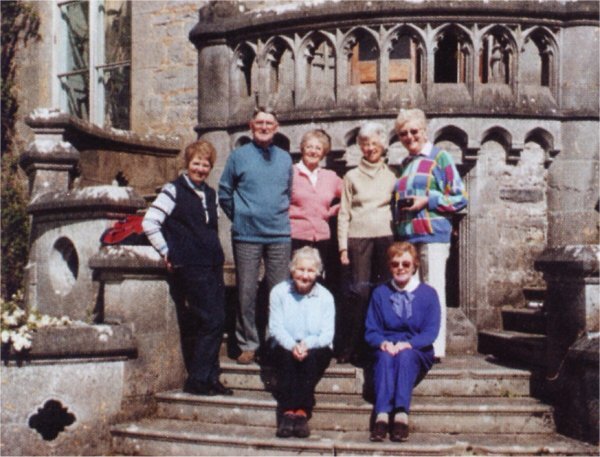 In May 2004 the Society visited Sligo in perfect late Spring weather. On the journey to our base in Sligo town we visited King House in BoAyle and the Arigna coal mine. 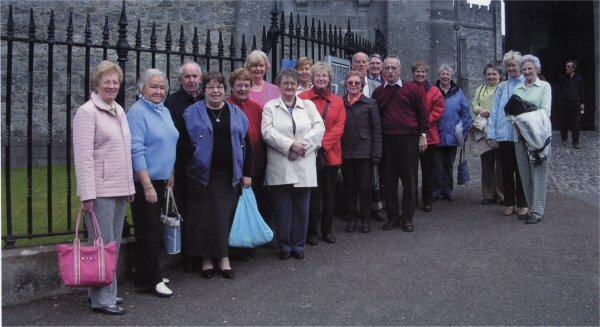 Excursions were made to Lissadell, Drumcliff Church (both with associations with W.B. 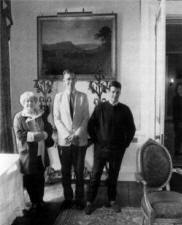 Yeats), Markree Castle and Parkes Castle. The highlight of the whole trip was undoubtedly the candle-lit supper arranged by Damien Brennan and his wife in their beautiful new house overlooking Lough Gill and the Isle of Inishfree. The Society took advantage of the new ferry service from Ballycastle to Rathlin Island for a day trip in July 2004. Fortunately, the weather on this occasion was also kind as we braved the North Channel. A conducted tour had been organised under the `Talks and Tours' scheme run by the University of Ulster at Coleraine and this covered the nature and the history of the island. Everyone was staggered by the impressiveness of the bird colonies which are managed by the RSPB. 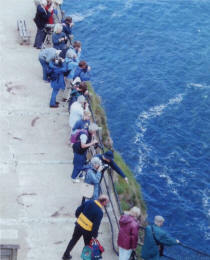 Members of the Society at Rathlin Island Nature Reserve, July 2004. 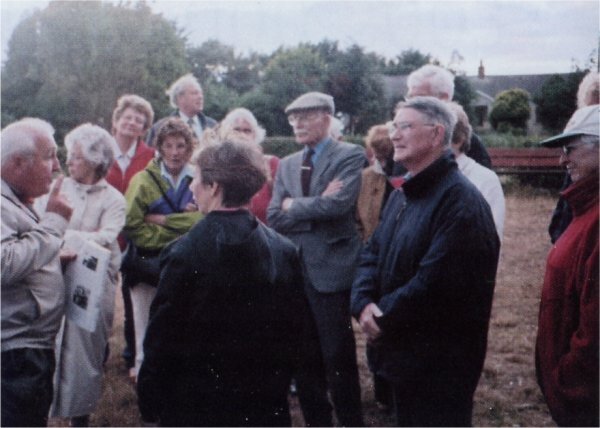 In September 2004 Dr Frank McCurry led a group of members on a very informative evening tour of the Montiaghs close to Lough Neagh. 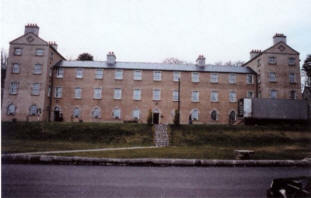 Kilkenny was the destination for our weekend excursion in May 2005, based at the River Court Hotel. As we were accompanied by several members of the Brontë Society (Irish Section) there was a strong Brontë connection in some of the places visited. The first of these was Hamwood House at Dunboyne which was built in 1764 for Charles Hamilton, later agent for the Duke of Leinster. After a brief stop in Blessington, we moved on to Russborough for lunch and a tour of the house. On Sunday morning in Kilkenny a guided walking tour revealed some of the hidden treasures of that ancient city. 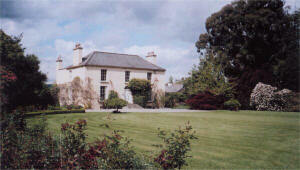 In the afternoon we drove to Inistogh, and the Woodstock estate. The house, built in 1740, came into the Tighe family through marriage. It was burnt in 1920 and the gardens, now being restored, are famous for their long converging avenues of monkey puzzle and Noble firs. On Monday morning we set off on a scenic drive across the Wicklow mountains and, after a short stop at the Wicklow Gap to examine one of the many old lead workings in the area above Glendalough, we called to see the attractive gardens at Rossanagh Cottage. This was formally the dower house of the residence of the Rev. Thomas Tighe who, when rector of Drumballyroney, encouraged Patrick Brontë to go to Cambridge and take Holy Orders. Following lunch at Avoca Handweavers we headed back into the mountains to Glencree and the German War Cemetery. Tucked into a former quarry, it is a haven of tranquillity with nothing to disturb the peace but the sound of water rushing over the rocks. Not far across the river we called at the Glencree Centre for Reconciliation. A former barracks built about 1800 to subdue the rebels in the mountains, the building has had a very chequered history but, now restored, it extends a warm welcome to everybody. Our final scenic drive was across the romantically named `Featherbed Mountain' from where we plunged down to the gridlocked M50 and headed for home. Two all day outings were also enjoyed during 2005. 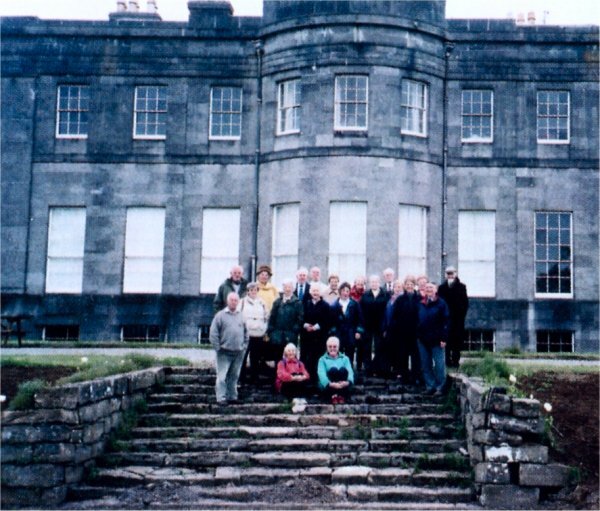 The first, in June 2005, was a day outing to the recently restored Dromantine House. Originally the home of the Innis family it is now a conference centre run by the S.M.A. Fathers. We also visited Narrow Water Castle and Carlingford , where we had a guided tour of the historic village. Our last stop was the very interesting Dundalk County Museum. 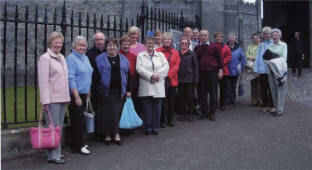 Our second outing in 2005 was to Londonderry in September. Not only were many of the main attractions in the City visited, but the party took to the water, enjoying a very nice cruise down the Foyle to Culmore Bay, where many of the surrendered U Boats had been moored at the end of the Second World War. 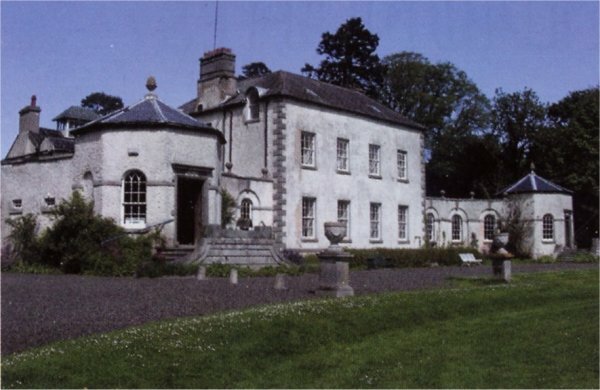 On leaving the city a visit was made to Prehen House, a handsome mid-eighteenth house with an interesting history. 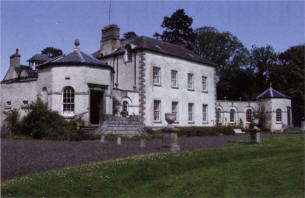 Hamwood House, built in 1764 for Charles Hamilton, later agent for the Duke of Leinster. Glencree Centre for Reconciliation which the group visited in 2005.